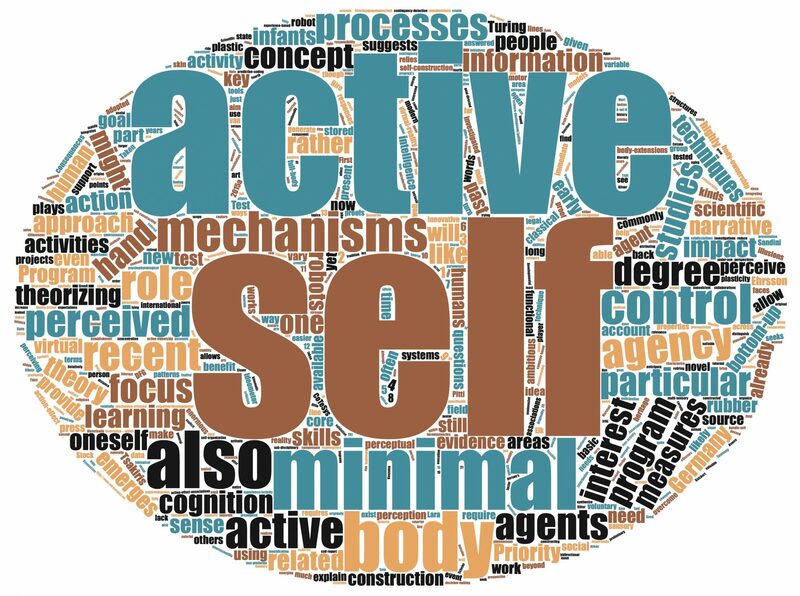 The minimal self (MS) can be defined as the way we perceive ourselves in a specific situation, i.e., how body parts are perceived as belonging to one’s own body (body ownership), and which actions or events are produced by these body parts (agency). Recent developments in virtual / augmented reality techniques allow detailed parametric manipulation of action-sensation interactions and contingencies. Herewith, it might be an optimal method to investigate the embodiment of tools into the body schema (BS) and body image (BI), and the association between body-ownership and agency as well as their mutual dependency on action-related sensory feedback. Our project will contribute to the question of which functional mechanisms underlie the construction of the MS, and to which extent the MS is plastic and affected by sensorimotor experiences. Our proposed work program will apply an Augmented Reality (AR) approach to study short-term and long-term plasticity of the MS. First, we will focus on the analysis of short-term effects of tool-use trainings in AR. Then, we will examine the more long-term consequences of aging as a proxy for altered sensorimotor abilities and reduced involvement in and experience of specific sensory-motor skills in everyday activities. The impact on BS and BI, more specifically on perceived body ownership and agency, will be investigated for both types of plasticity, including the analysis of biosignal data (EEG). In three experiments, participants will learn to control a virtual tool, consisting of a hand-like tool mounted to a stick, held by the subject’s real hand in AR, to select and grasp target objects among distracting objects and to fit them into a target whole adjusted to the shape of the respective object. We will further complement the traditional hypothesis-driven analysis on averaged data with a more dynamically data-driven perspective: For each single trial of the virtual tool-use task, we process the related multimodal data streams and derive an online prediction of the level of body ownership plasticity. Such an online prediction of BO plasticity can be used for giving feedback to the user, or for optimizing training duration and intensity by terminating a training episode after an individual time period. For this purpose, we will calculate features from recorded kinematic data (from motion tracking and myoelectric signals) and neural data (from high-density EEG), as well as behavioral features. By studying the MS with adult and aging samples, we can learn more about how the mature human brain maintains a sense of MS while adapting to changes to its natural bodily boundaries. By systematically studying the MS in humans, we can then build upon this knowledge when building artificial systems and robots designed to develop a MS. We argue that the question of the extent to which having a body with clear physical boundaries is necessary for the MS, is indeed highly relevant for humans as well as for future robots. This project is funded within the DFG Priority Program “The Active Self”.